Who needs to go to bartending school when you've got the Inebriator to mix your favorite drinks for you? Want a cosmopolitan? No problem. Press a button. Want a tequila sunrise? Sure thing. Press a button. 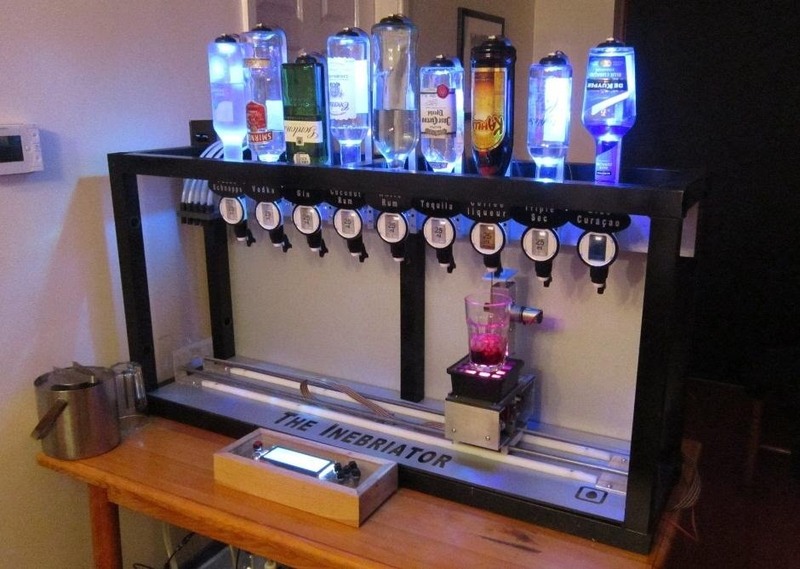 As long as you've got a good supply of liquor and mixers, the Inebriator is at your command. 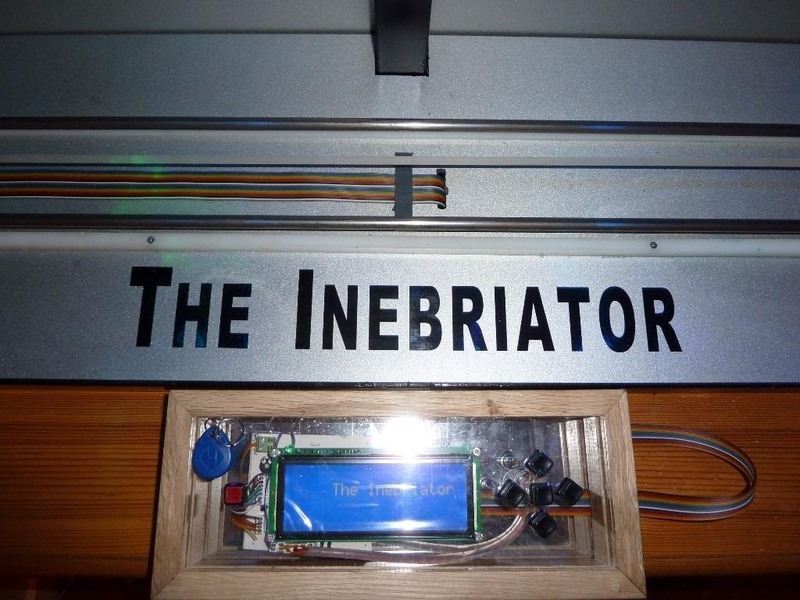 So, what exactly is this Inebriator thing? 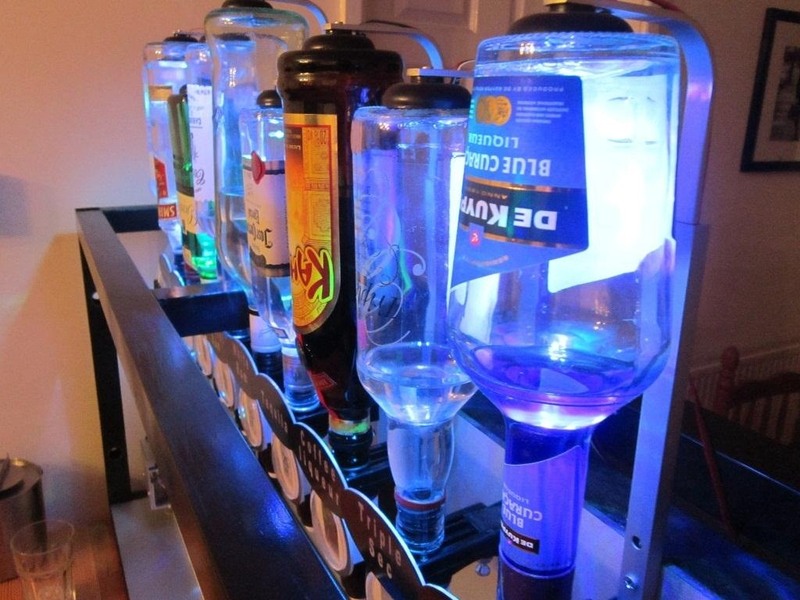 Well, it's a robotic bartender that can automatically pour 15 different pre-programmed cocktails. With 9 different liquors and 7 mixers on board, it's got something for almost everybody. 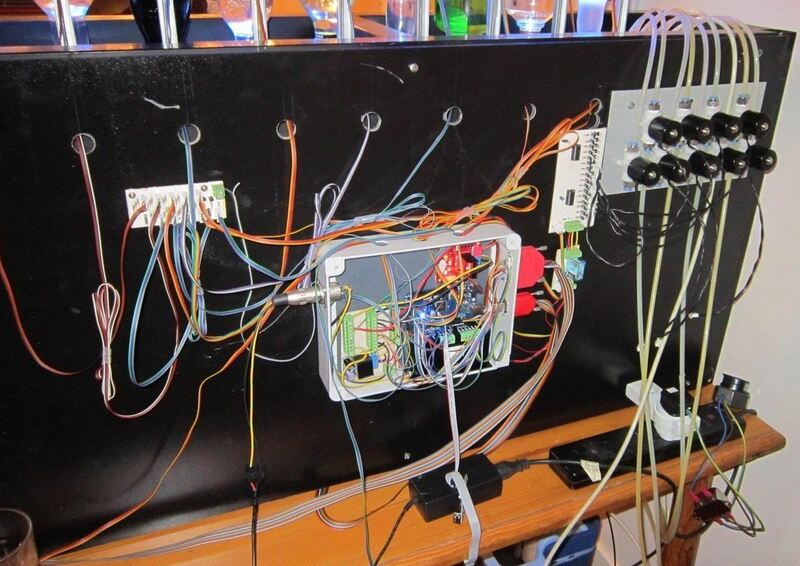 It's powered by an Arduino Mega 2560 Microprocessor Project Board and uses a Hitachi HD44780 compatible display to show the menu. 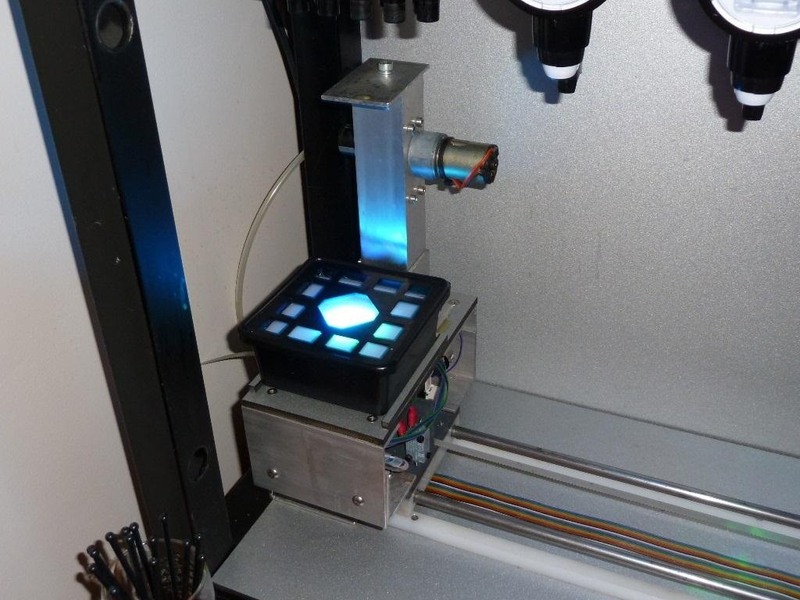 A force-sensitive resistor senses when a glass is placed on the machine and an RFID sensor gives permissions for admin functions. Watch it make its Signature Cocktail in the video below! Want to make our own? You can find out more information, along with tons of photos and videos, on the Inebriator's website. This could totally be product-ized. Hide the wires, add an iPhone dock and an app, and it'd sell through the roof. Looks like it's on the left side (front). They might be under the table, hooked up via tubes. i will be the one who would buying this omfgd so cool good job guys seriously awesome invention i never even thought of this ha-ha cool how much yet u know the price? have you ever thought of a price of the cool toy yet? nice wow im impressed.